The all new MXU 150X Despite being the smallest in the KYMCO MXU family of utility ATVs, the MXU 150X comes with power and features that make it a great value. 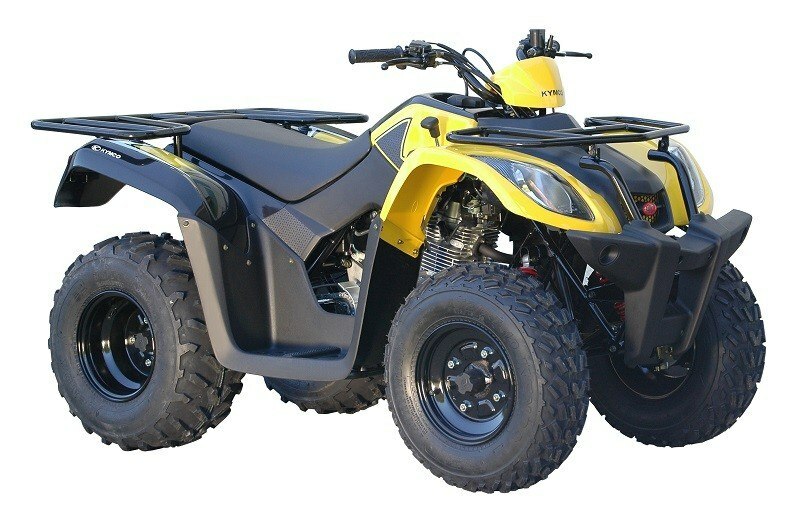 Motivated by an air-cooled 149cc carbureted 4-stroke engine, this chain-drive 2x4 utility quad offers up an easy to use automatic CVT (F-N-R), dual A-arm front and rear swing arm suspension, preload adjustable shocks, and drum front and single disc rear brakes. Digital gauges keep you informed and sturdy front and rear racks help complete the chores. ATV Y-12 Riders 12 and older with Adult Supervision. KYMCO recommends that all ATV riders take a training course and read their owner's manual thoroughly. Front Rack - Standard / 40 lbs. Rear Rack - Standard / 50 lbs.